Take care of your roof like you take care of your customers. Call Fort Collins Roofing Service today for a free quote! Fort Collins Commercial Roofing Service is one of professionalism and dependency, two key factors in operating a good business. Whether your commercial property is looking for tar and gravel, shingle, metal, or custom roofing, our company has the materials, know how, and drive to deliver you a finished product that will rival the day it was installed. Bringing the highest level of professionalism and expertise to the job site, we aim to raise your level of expectation, and give you a roof worth boasting about. In our eyes, nothing is too good for a fellow Fort Collins business owner. 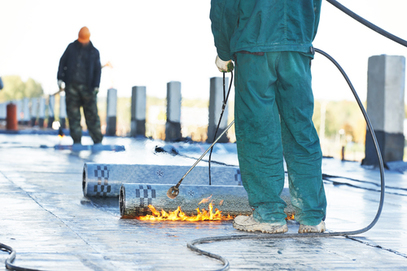 A roofing site is a construction site, and the proper safety measures continually need to be in place. When it comes to working in a business environment though, there is also the need to be as minimally impactful as possible. Our company understands that you need your company to be working, and so we provide our services in a way to attempt as little interference with your Fort Collins business operations. In some cases this may be unavoidable, but your business is important to us, and we make every attempt. In attempting to assist you with your continued operation during any roofing project, the noise and people milling about creates a hectic environment, we understand this and attempt to keep this impact as minimal as possible. We understand that the need for you to continue operating your business is an important one, and we aim to work with you to be able to provide your Fort Collins business with the necessary service you need, while still being able to run your company normally in the meantime. Our crews are known for their dependency, and in this, you can be sure that your roofing crews will do their very best to be on site when they say they will, and offsite as well. Knowing what time of day you will have your roof worked on will allow you to know what periods you will have noise and other interruptions to prepare for. This also provides an example of our professional approach to servicing your business. By being a company you can rely on, you can be sure that you will have a service that will live up to your expectations and continually attempt to exceed them. We view this process as simple, that by properly representing our business, it allows you to present yours in the best fashion possible. By doing right by each other, we both benefit. And our company is compelled to continually uphold our side of the deal, bringing you the best possible service in a way that won't interrupt your business, and leaving you with a finished product worth boasting to your competitors about. This in turn creates a situation where we are both on terms to continue a long and healthy business partnership, and between Fort Collins businesses, that makes everyone a winner. 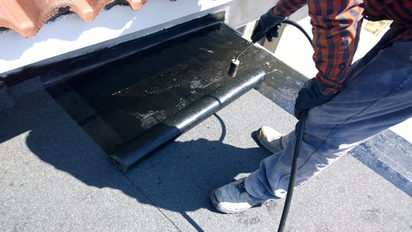 We are more than confident we can handle any type of commercial roofing job under the sun. Give us a call today for a free consultation, or fill out the simple form on this page!